I was a PhD student under the supervision of Arnaud Legout in DIANA (fka Planète) team at Inria Sophia Antipolis - Méditerranée. I have joined Inria in March 2012 as an intern. I have continued with a PhD on topic "How Information Propagates on Twitter" from October 2012 till June 2016. From June to December 2015 I had an internship with Augustin Chaintreau at Columbia University in the City of New York. Online social networks (OSNs), Twitter (soTweet project), graph analysis, information propagation in OSNs, security and privacy issues in OSNs. PhD. (2016), Docteur en sciences, mention : informatique (ED STIC). University of Nice - Sophia Antipolis, France. MS. (2012), Master of Science in Ubiquitous Networking and Computing (UbiNet). University of Nice - Sophia Antipolis, France. MS. (2012), Master of Computer Science. School of Mathematics and Mechanical Engineering, Kharkiv V. N. Karazin National University, Ukraine. Diplomas obtained according to double diploma agreement. BS. (2011), Bachelor of Computer Science. School of Mathematics and Mechanical Engineering, Kharkiv V. N. Karazin National University, Ukraine. 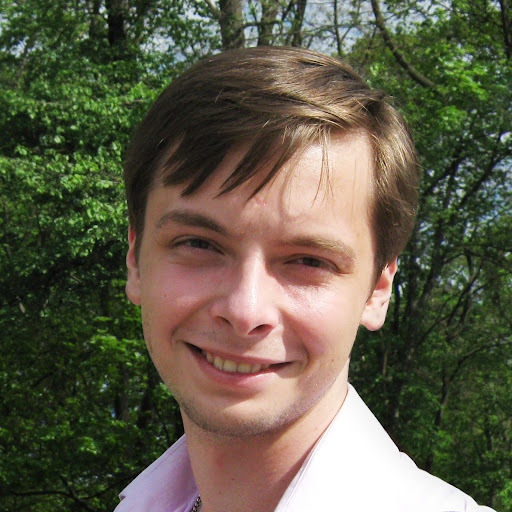 Maksym Gabielkov, How Information Propagates on Twitter?, June 2016. Maksym Gabielkov, Ashwin Rao and Arnaud Legout, Studying Social Networks at Scale: Macroscopic Anatomy of the Twitter Social Graph in ACM SIGMETRICS 2014 (acceptance ratio 16.8%), June 2014. Maksym Gabielkov, Arthi Ramachandran, Augustin Chaintreau and Arnaud Legout, Social Clicks: What and Who Gets Read on Twitter? to appear in ACM SIGMETRICS 2016 (acceptance ratio 13.5%), June 2016. Maksym Gabielkov and Arnaud Legout, The Complete Picture of the Twitter Social Graph in CoNEXT Student'12: The 2012 CoNEXT Student Workshop, December 2012. Giovanni Neglia, Xiuhui Ye, Maksym Gabielkov and Arnaud Legout, How to Network in Online Social Networks in The Sixth IEEE International Workshop on Network Science for Communication Networks, May 2014. Maksym Gabielkov, Ashwin Rao and Arnaud Legout, Sampling Online Social Networks: An Experimental Study of Twitter in SIGCOMM'14. Larissa Navarro Passos de Araujo, Maksym Gabielkov, Max Tucker da Silva, Augustin Chaintreau, Zero-Knowledge Transparency in DTL'15. Giovanni Neglia, Xiuhui Ye, Maksym Gabielkov and Arnaud Legout, How to Network in Online Social Networks, Inria report RR-8423, December 2013.